As a youngster, I was always interested in computers, and was brought up in a very PC-orientated environment. 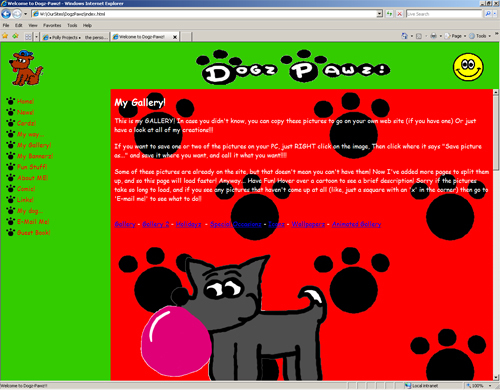 I made my first website when I was 9 (with a little help from my dad) and was involved in making and maintaining my own websites from an early age, developing a second and considering further website ideas. 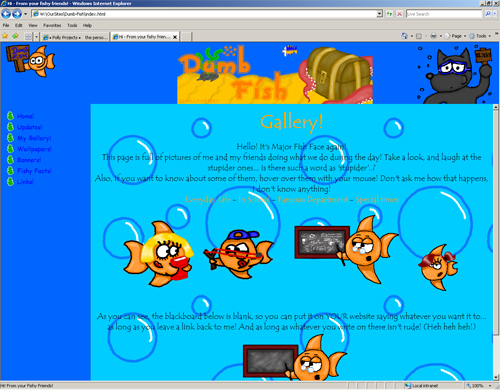 Throughout this time, I learnt the ins and outs of HTML code, and used Editplus, Photoshop and Imageready closely, even developing some amateur .gif animations (of the doggy and fishy variety). Throughout secondary school and my college years, this hobby unfortunately got pushed into the background, with my schoolwork taking more of a priority, so these sites, whilst very occasionally poked-at, played-with and updated, soon dwindled away and are no longer hosted, instead gathering dust in a folder somewhere. But soon after some relatively pleasing A-level results, I got back into website design and development through working with my dad, which soon flourished - at this point we decided to take it a step further in terms of a business endeavour.